Flying Sept. 11 & yes, 6-toed cats | Help! I live with my Italian mother in law! In a few more days I will be kissing my husband on the gangway and flying back overseas to Italy. I feel like I have been here forever (ships have that effect on me) and although I will miss my husband over the next few months I am looking forward to going home. As much as Italy drives me crazy and I was starving for a break away from her, she is in fact my new home and I miss her. Most of all I miss my cat and Mama’s lasagna! Well I miss my friends too but you get the idea. The question is this: My flight is on September 11th. Is it actually the safest day to fly? Some say it is. But the fact is I have really grown to hate flying and on this particular day I know that security will probably be even more annoying than usual. I know they are just doing their job, but how many times in one jet-lagged, sleep deprived, bloated day can a person tolerate another “pat down”? It seems that I must look like a random criminal or terrorist because I always get my luggage inspected and I always get patted down by security. Can someone please explain to these people that I am not smiling because I am tired and cranky and leaving my husband for 3 months and not because I am angry at the world and George Bush? 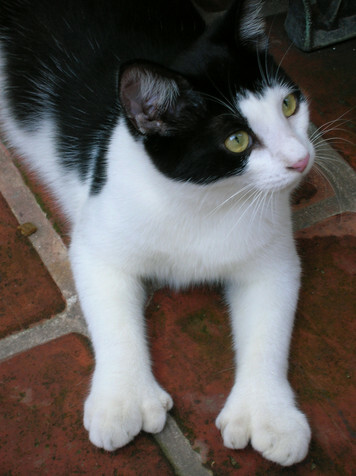 They’re called Polydactyl because they have six toes which apparently makes them good mouse catchers. Ernest Hemingway was friends with a ship’s Captain and was given one of these cats as a gift in Key West. Hence, they multiplied and now many years later the legacy of Hemingway’s cat has continued with new generations. 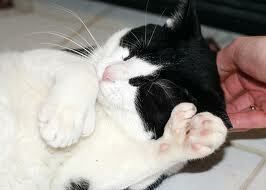 At one time there were sixty cats there but now there are a mere forty or so. We visited his home in Key West and there are cats lazing about all over the house and garden. They are obviously used to people and love to be pet. I of course would have preferred to see all forty (I even downloaded a file with most of their names and photos) but was still somewhat satisfied with the fifteen or so I saw hanging about the property. Which brings me to a strange observation in the Bahamas…I’ve NEVER seen cats there. Hmmmm? Sounds a bit suspicious to me. This entry was posted in Food, Mama, Nature, Tourists, travel. Bookmark the permalink. Sorry I cannot help you.